A 30 min. show once the Radio Station added their Commercials. This show is one of the few Radio Shows that started out as a TV Show and then was later turned into a sucsessful radio series. 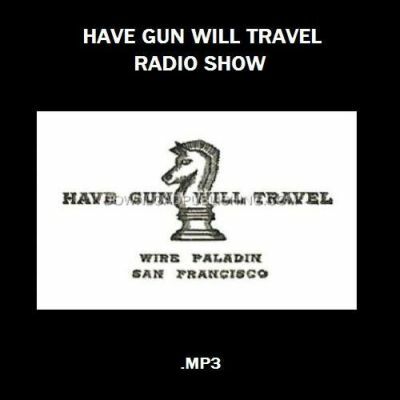 It tells the story of Paladin "Gun for Hire" (Starring John Dehner). He lived in and used the Carlton Hotel as his Headquarters in 1875 San Francisco. He used the Hotels Bell Hop, "Hey Boy", (Starring Ben Wright) as his personal assistant.